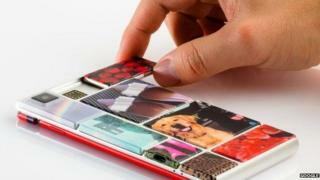 Google has suspended work on Project Ara, its modular smartphone. Google had announced during its developer conference I/O in May, its intentions to have a developer version ready to ship in the autumn. It will now concentrate on its other phones, tablets and other hardware lines, reports Reuters. Project Ara has suffered numerous setbacks since it began life as a Motorola venture, which Google owned before later selling. The idea was to create a smartphone which could be customised to owners' tastes with interchangeable "modules" including screens, cameras and processors. In 2014, a trial was announced in Puerto Rico, centred around providing buyers with a smartphone frame and a range of 20 to 30 clip-on modules. However, this pilot scheme was delayed and eventually cancelled last year, with the team blaming "lots of iterations" in the design. In May this year, Google said a new version of the modular phone would be less customisable than originally planned. The main display and processors could no longer be swapped - a redesign Google said offered more space for other parts with more unusual functions. Modular phones could help consumers upgrade their handset without having to buy an entirely new model, as well as reducing technological waste. However, the individual components are expensive to manufacture. LG released the modular LG G5 phone earlier this year to a lukewarm response. On launch it only supported two additional modules - a high-definition audio processor and a camera grip. The battery can also be exchanged, but doing so causes the phone to reboot. "Project Ara went against every lesson the smartphone market has learnt over the years, eliminating the removable battery for example," says Ian Fogg, senior director of mobile and telecoms at analysts IHS. "The original concept of making all modules user-changeable is an incredibly hard thing to do. "By redesigning it so only certain modules were swappable dramatically simplified the project, but it undermined the point of how important swapping those bits out was to the consumers. It went right against every bit of industry wisdom."